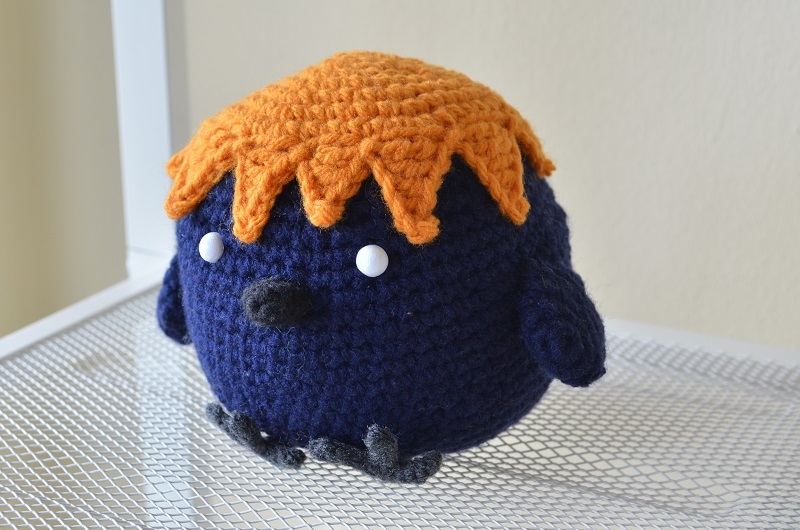 This adorable crochet Haikyu crow would not have been possible if it hadn’t been requested by a fan and supporter of handmade work. 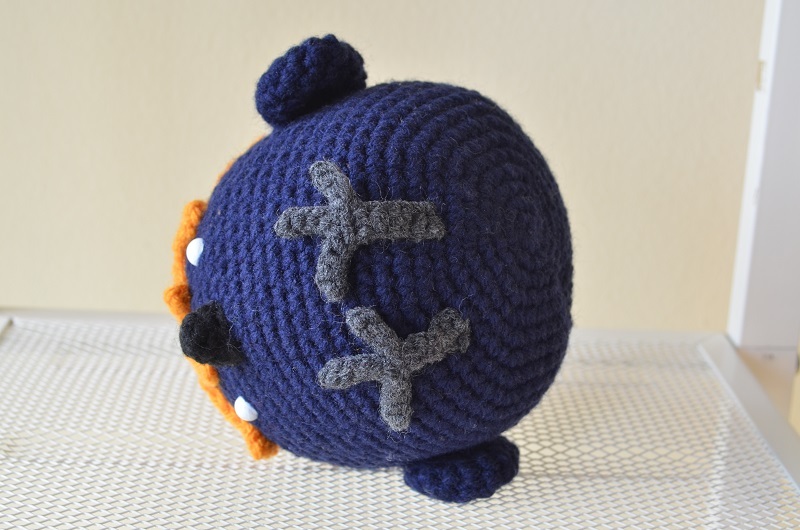 I was approached on Etsy to design and create a pattern based on a character from the manga series, Haikyu. 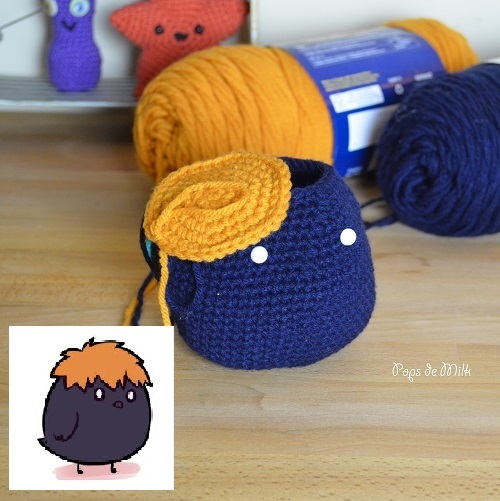 I was provided with a photo of a plush version and was asked if I’d be able to make a crochet version! Looking at the photo of the plush toy I couldn’t help but squeal with delight – the character looked so cute with its tiny legs compared to the chubby body! 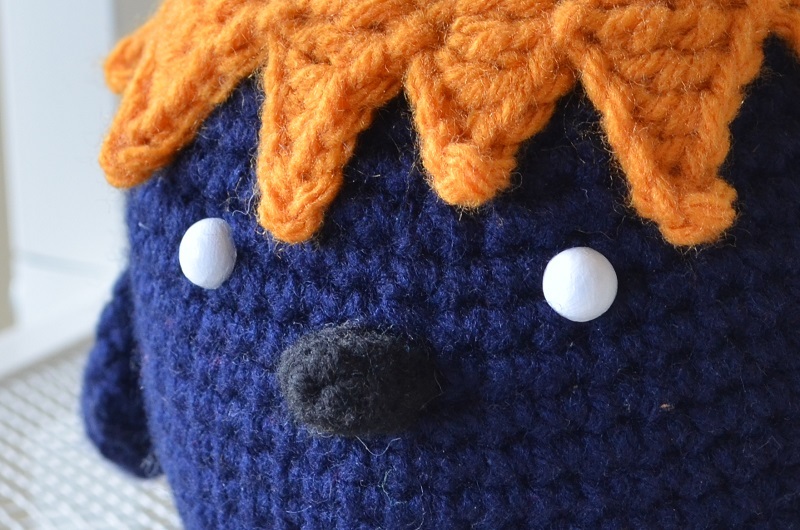 I had an idea of how I would make the body but the hair was something I knew I would have to figure out – how would I crochet points around a circle without making a bunch of tiny triangles? It was a challenge I was only too happy to accept. I could have made a circle and a bunch of individual triangles to sew on after but for me these are the kind of challenges that make the project more meaningful because it means I get to learn something new. Plus, no one wants to sew a bunch of little triangles to a circle. No one. 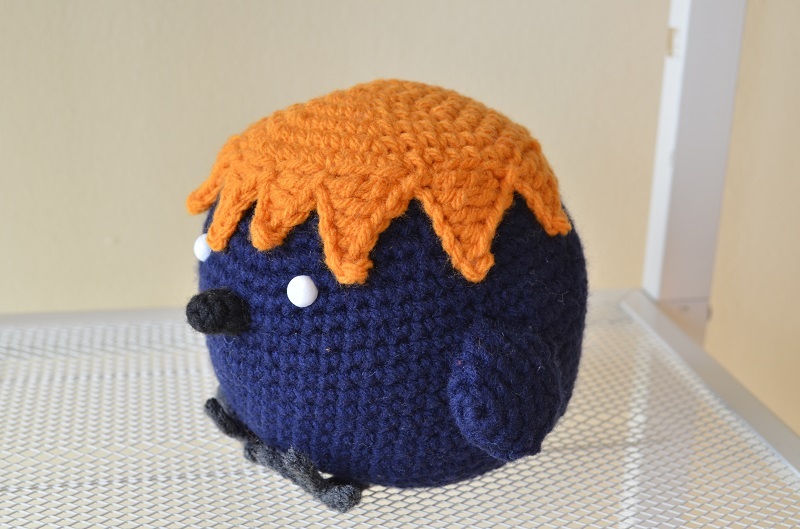 This crochet Haikyu crow has uneven spikes of hair, which posed a challenge because I wanted it to be seamless and more natural. After I devised a plan-of-attack inspired from my increasingly intimate knowledge of crocheting mandalas I got to work. I think the hair was probably my favourite and least favourite part to work on – I could visualize the end result but there were a few times I had to undo everything and start all over because math and I are not the best of friends. For the eyes I took a pair of plastic safety eyes and painted them with white acrylic paint – it took a few coats to get it just right. I knew the beak had to be small, but it needed a touch of attitude and I think I got that. When it was all finished I couldn’t stop grinning – it was so cute! 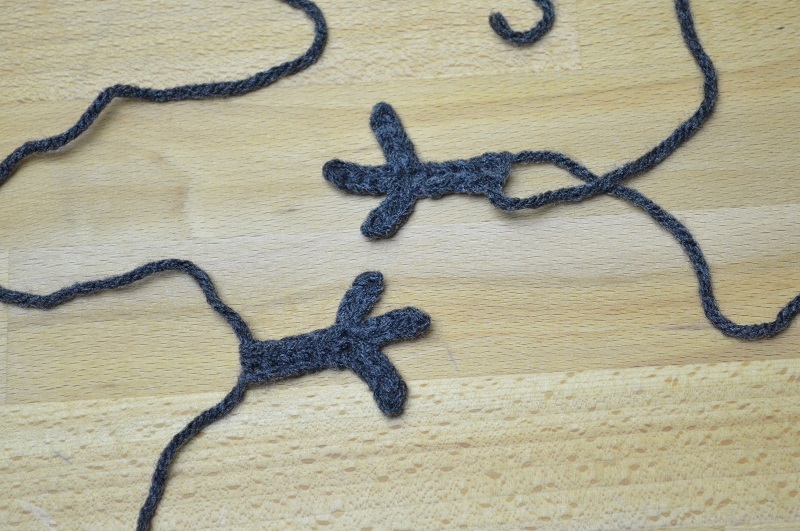 The feet were made separately and sewn on later. I really wanted to them to be tiny compared to the body but not so tiny that they wouldn’t be visible.